CapitaLand’s wholly-owned serviced residence business unit, The Ascott Limited (Ascott), has expanded its presence in the Philippines with the sealing of contracts to manage two new serviced residences. The 220-unit Ascott Bonifacio Global City Manila will be the second Ascott-branded property in the Philippines and the company’s first property in the fast-developing Taguig City. The 215-unit Citadines Salcedo Makati will be the first Citadines Apart’hotel in the country. Both properties are slated to open in 2014. Mr Arthur Gindap, Ascott’s Country General Manager for the Philippines, said: “Ascott has been established in the Philippines since 2000 and today, we are the largest international serviced residence owner-operator in the country. As the Philippine economy continues to grow, particularly in its business process outsourcing sector, we expect the number of business travellers and tourists to increase. He added: “Our Citadines Apart’hotel is an established brand with properties throughout Asia Pacific. Citadines offers a flexible services menu to cater to the needs of independent travelers who wish to customize their stay. Ascott Bonifacio Global City Manila will be located within Taguig City, home to headquarters of multinational corporations such as Hewlett-Packard, The Hong Kong and Shanghai Banking Corporation, Deutsche Bank, Fujitsu Corporation and Ericsson. The serviced residence is also a 15-minute drive away from the Makati district, the capital’s financial, cultural, retail and entertainment hub. Ascott Bonifacio Global City Manila will offer traveller’s choices of studios, one-, two- and three-bedroom apartments of lavish living spaces featuring plush interiors and state-of-the-art amenities. Facilities include well-appointed office suites, cutting-edge boardroom and meeting areas, plus modern recreational venues. Citadines Salcedo Makati will be situated in Salcedo Village within the Makati Central Business District. It is within walking distance to various financial and corporate offices including Citibank Tower, Ayala Tower and the Philippines Stock Exchange. Recreational facilities and attractions such as the Makati Sports Club and Velazquez Salcedo Park are also located within the vicinity. Citadines Salcedo Makati will offer studios, one- and two-bedroom corporate apartments of stylish interiors and modern amenities. Recreational facilities include fitness centre and swimming pool ideal for leisure periods spent indoors. Besides Ascott Bonifacio Global City Manila and Citadines Salcedo Makati, Ascott currently operates four properties in the country. 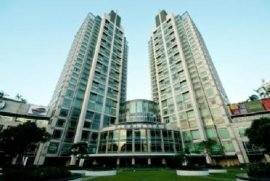 The flagship Ascott Makati is the choice accommodation for top business executives in the Philippines while Somerset Millennium Makati, Somerset Olympia Makati and Somerset Salcedo Makati cater mainly to travelers with families.